The baby shower is probably one of the most exciting events throughout the whole of your pregnancy. I mean as soon as you find out you’re pregnant you’re pretty much planning it from day one. You’re thinking about whether you want it in a pub or maybe at home, whom you’ll invite, and what things you need. There’s a whole lot of planning, and it’s all completely worth it. Normally you get someone to plan your baby shower for you, but for me I didn’t. This is purely because I’m a little bit too controlling at times, and I knew exactly how I wanted my baby shower to be, so I would rather plan it myself. I must say though it did make it a bit more stressful for me, as there was so much to plan and so much to organize, because of this I think it would have probably been easier getting someone else to organize it all for me. Although, my mom did help with bits and pieces, like the décor and stuff, so that was one less thing I had to worry about. 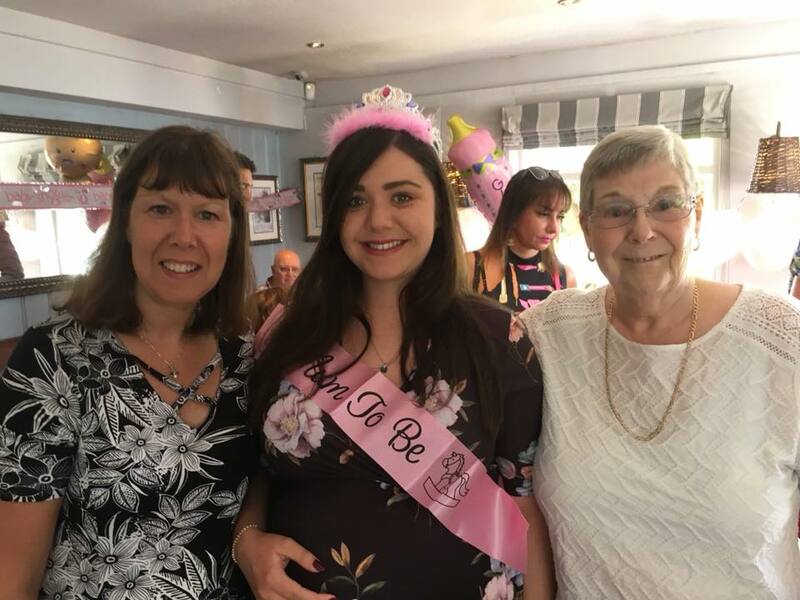 One thing I learnt from this is that you definitely can’t plan everything on your own, because it’s definitely impossible to put up all of the baby shower decorations when you’re seven months pregnant, so you will be in need of extra support if you want to organise it yourself. 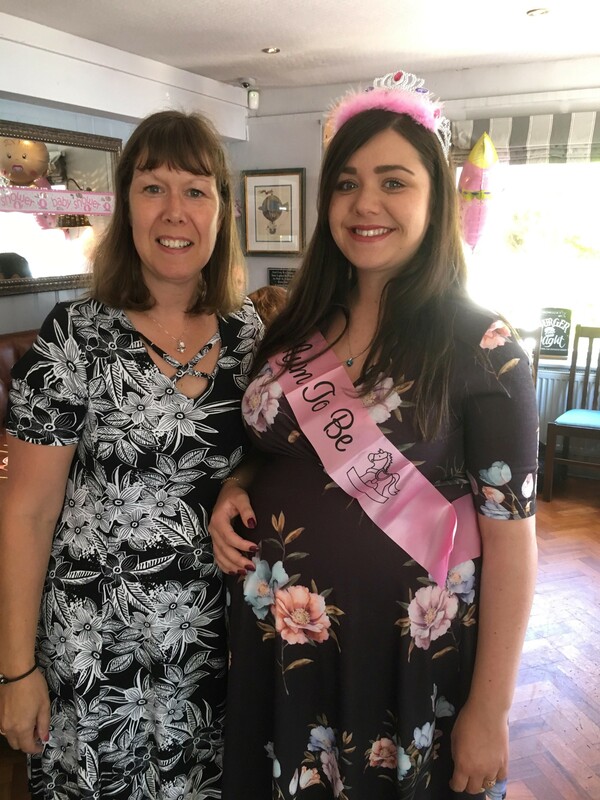 There are always tips online about how to make your baby shower a success, one thing I read about is that it is always best to remember to plan in advance. This way you can make sure that all of your guests can make it. I did this as best as I could, and told my guests roughly two months before. To do this I thought it was best to just create a Facebook event so I could then automatically see who could and who could not make it. I thought this would be the easiest way to find out the numbers that were planning to go. I needed to know them because I had already ordered the food, but I still needed to confirm it, seeing as I was charged per head for this. To begin with I invited around 30 of my friends, hoping that quite a few of them would be able to make it. Only a few people got back to me after about a week of the event being online. In the end I had to actually go round and ask the people who weren’t replying, which became very annoying seeing as I had so much more to organize. When some of the people finally started replying they were literally all the same replies, which said that they weren’t able to make it, and this can be quite disheartening. Especially when you’ve organised it so far in advance. However, one of the worst things is when people cancel on you the same day as the actual baby shower. This has to be the worst seeing as you’ve already paid for them as well. This happened to me with a few of my guests, but to make it even worse I actually had to ask them if they were still coming or not they didn’t just tell me they couldn’t make it. I’d previously read about other stories online where people had their baby showers fall to pieces and they were confiding with other moms about their experiences. I was so worried that this was going to happen to mine. Plus, when people started dropping out this was one of my biggest fears that would happen. To be honest I was quite upset by this, even though my hormones were all over the place at the same time I knew I wasn’t over exaggerating with being upset. Another thing I learnt was to not expect everyone to be able to make it, and maybe in future if I do have any more children I wouldn’t invite as many people, just my closer friends and family. However, a lot of my friends did still manage to make it to the baby shower, which was more than great. We decided to have the shower back at my hometown, as this is where a lot of my friends still were. Originally I was in a debate where to have the baby shower, because I have a lot of friends in London as well, and at one point I was even deciding on having it halfway between the two locations. However, I just decided to keep it in my hometown, as I knew the area really well, and I knew what places were best to hold my baby shower. In the end we had it at one of the local pubs in the town. Our baby shower turned out to be a great success, and it was really nice having all of my friends there. Plus, I also invited all of my family as well, which made it extra special. I know usually it’s a strictly girls event, but I actually felt that it would be nice to involve everyone, so my partner, his brother and my granddad attended as well. I wanted everyone to be there to share the special moment, even if it was very girly.